Don’t be so hard on yourself. Your story is a great eye opener for those who may still be using older techniques and feel something is not quite right. I’ve been there, too, and the guilt can be devastating. I will confess–I use a prong collar at times on Zella, but am weaning myself off of it’s use. Most times, I just put it on her but use her flat collar instead. She associates its presence to mean not to pull. I cringe, though, sometimes when I think of some of the training I put her through. Like your dog, thank goodness she is forgiving. I think every dog owner at one point in their life used an aversive in some way and now regrets it. If we learn from our mistake, though, we can try to seek out new ways to do something without causing pain or fear. Thank you for your comment, Grimm. I also relied on the prong’s presence for quite a while. I justified it by saying, “she knows it’s on, and I don’t have to actually use it.” Then the day came when she started pulling again, and I couldn’t bring myself to pop it. I sent it away to a friend who is going to melt it down and make art or jewelry out of it. Most useful it’s ever been! Nicely written. I think it’s great that you have found a training method that both you and your dog excel with. This piece was very well written. I appreciate it when people share the process of how they came to believe a certain way. I know it is cliche, but life really is a journey; it really is a process. You are not a psychopath, you are a human being. Even I can tell you are a good person, so don’t beat yourself up about it. You have done right by your dog now, and that’s most important. Thank you for writing this piece from your heart. I think crossing over entails a huge change of life orientation, and I congratulate you for doing it. For myself: I took classes at a local competition-oriented obedience club. I held off from using a prong for my dog Summer’s first three classes, then finally got tired of seeing everybody else’s dogs standing quietly waiting their turns (lots of them were just shut down but I didn’t know that) and mine was straining around at the end of the leash all the time. The folks there didn’t know how to teach attention without corrections, and also didn’t know how to recognize a hypervigilant dog. Poor, nervous Summer. I caved and “solved it all” with a prong collar. I used it a handful of times. Summer looked at me so sadly when I put it on her. One turning point for me was one of those “set the dog up to fail” class exercises. We were instructed to walk towards a man who would hold food out towards the dog, and then when the dog went for it, we were to give a leash pop. I had quit with the prong again by that time, but leash pops can hurt and scare on a flat collar, too. We did this exercise one time. I’d like to say I stopped there, but it was actually Summer who stopped it. The second time as we approached the man, she slipped around behind me and hid. I felt so bad because I was the one who had administered the leash pop, but she was still coming to me for help. I’m pretty sure that night was the last “correction” I gave her. After that I started hanging with the agility people, who were not as harsh with their dogs. And then I found an incredible local trainer, just like you did. Thanks again for describing your process as a trainer and partner of your dog. Thanks for sharing your journey. 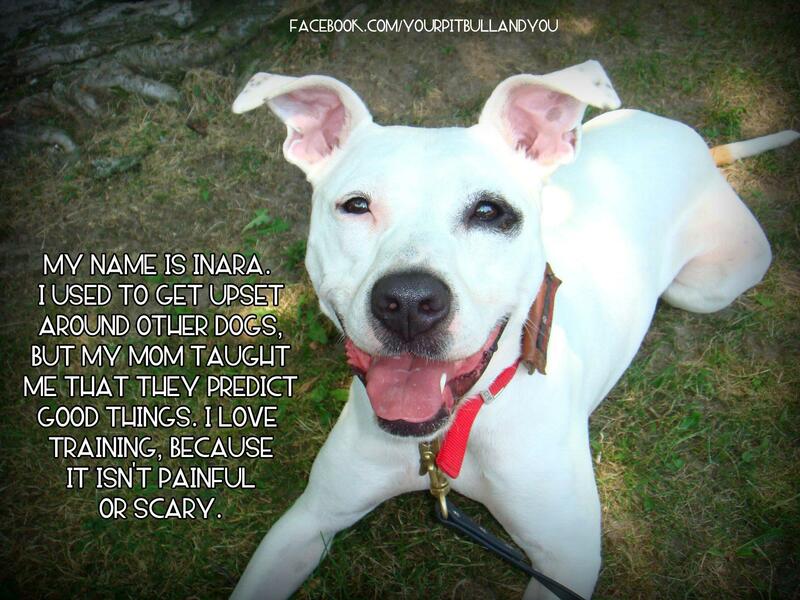 What breaks my heart is that guardians who really care about their dogs are the ones who seek out professional advice. They follow this advice hopefully and with great trust – often ignoring the inner voice that whispers something is not quite right because of this trust in the information they are receiving. Yet what cheers my heart is that it is also these guardians who continue to question when that uncomfortable feeling persists. Because their dog really matters to them. Your experience may plant the seed that grows in someone else’s heart. This is exactly my feeling about training. I stopped taking my dog to her puppy classes because yanking on a dog or holding the leash tight until they submit and then treat the dog with food isn’t positive training. Pulled out the old clicker and I’m clicking away. Congratulations for having done the right thing. How long did it take you before you could take your dog on walks feeling confident she wouldn’t attack other dogs? What an amazing journey. Thank you for sharing it. JF, I apologize for the delay in responding – this slipped through the cracks! That question is kind of a catch-22 – I’m always confident she won’t attack other dogs because I know how to read her and I’m like a ninja when it comes to managing her. On the other hand, I also don’t let her get close enough to most other dogs to do anything. It’s just not worth it. So she can handle big group walks, and even walk close to other dogs, but I very rarely allow sniffing between them. It’s just a matter of knowing your dog and trusting your ability to handle them, AS WELL AS trusting the person/dog on the other side of things. Hope that helped! LOL! that’s perfectly ok. I had forgotten I had asked the question! I reread your post and your process is so similar to mine. However, it took me two dogs to realize that chokers and e-collars were not the solution. With my first dog, Fred, a french spaniel, I quit two obedience classes because I didn’t like the methods they were using. After trying a bunch of things including the e-collar, I stopped obedience training altogether and did agility with him instead. He loved agility. In the 7 years I had him (brain tumor), he never had a good recall. Who can blame him… So, 7 years later, I adopted this lovely 1 and a half y.o. golden retriever mix who is very reactive when she sees/or hears other dogs. I began obedience at the same place I did agiltiy with Fred and eventhough agility was done with 100% painless training, their obedience instructors doesn’t use the same methods. Long story short, I stopped going after 2 classes. I pulled out my old clicker and started clicking away. She’s doing much better, but I still have to work on getting her socialized with other dogs. Thanks for your very inspiring blog. Keep up the good work! Have you looked into BAT at all? Behavior Adjustment Training, done by Grisha Stewart? If not, DO SO. I can say that doing BAT with Inara has probably made the biggest difference for her. Thanks. I didn’t know about BAT. Looking into it at the moment. Thank you so much for this article, it helps to know that other have gone through and overcome the same. Just stumbled on your blog– bravo! Thanks for sharing your story so candidly. My GSD was poorly socialized with other dogs and afraid of elderly women when I adopted her. Despite my best intentions, I’m sure that by using a mix of positive training & aversives, I made matters worse. In some situations she’s a doll, but in those situations where I used to use a prong collar to keep her from pulling free when she lunged (at deer, rabbits, other dogs), we still have a ways to go! We’ve been working with a Freedom harness, love BAT, and see drastic improvements. In hindsight I see that for us there really was no logic in using the prong as a “backup” to pain-free methods. I also just stumbled on your blog & found the story of your crossover journey very interesting. When I got my first golden retriever, Molly, I enrolled her at local classes & was taught to use leash “pops” whenever she pulled. Molly’s response was to sit down on her bottom & refuse to move at all – smart little girl! Teaching sit & drop involved pushing down on her bottom & pulling down on the lead to get her into position. When she continued to pull on the lead I was advised to use a Gentle Leader but wasn’t given any advice on using positive reinforcement to accustom her to wearing it. My poor little girl absolutely hated her “nasty nose harness” & although she would walk nicely with it on her demeanor was flat whenever she wore it. We persisted with the classes & eventually became quite advanced – working off lead & so on. By this stage the classes were really geared towards competing in obedience & because I felt that Molly didn’t really enjoy the classes we stopped. She’d learnt basic manners – loose lead walking, sit, drop etc & that was enough for me. After Molly died at the far too early age of 8 1/2 (brain tumor) I got another golden retriever puppy – my now almost 4yo girl Willow. My vet didn’t offer puppy pre-school classes at the time so I looked around for somewhere that I could take Willow. Fortunately I found Paw Prints Pet Training – their classes are run by qualified trainers who only use force-free training. Over time we took part in all their classes & to my surprise I found that training could be FUN! Willow loved her classes & loved the people that ran them – to this day those trainers are amongst her favourite people. As well as basic life skills we’ve also taken Tricks classes & have done some agility, just for fun. Throughout all of the classes Willow has been keen to learn & willing to offer behaviours when she’s trying to work out what it is I want from her – she’s not afraid because she knows there’s no negative consequence to getting it wrong. I also have 1yo Astro & he’s enjoying being a Paw Prints boy as we take classes together. When I think back to Molly I feel so sad for her that I didn’t know any better. She was a sensitive girl who I know would have really responded to learning the “Paw Prints” way. Whilst I thought I had an obedient dog the reality is that I had a shut-down dog – I just didn’t know the difference between them.